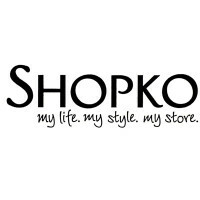 Shopko Stores Operating Co., LLC is an American chain of retail stores owned by Sun Capital Partners. They sell a variety products such as clothing, footwear, furniture, and electronics. The company’s headquarters is located in Green Bay, Wisconsin. In 1962, Chicago James Ruben, a pharmacist, founded the company in Green Bay, Wisconsin. Ruben wanted a retail store that offered healthcare services, so it became the first retail store to offer services like eye care clinics and pharmacies. In 2013, the chain’s pharmacy in Gladwin, Michigan received the Great Start Collaborative Family Friendly Five Star Award. It is an award that expresses gratitude to businesses who support the families in the said location. The company shows its love for their employees by rewarding hard work with benefits. Employees receive benefits such as medical plans with dental and vision coverage, 401k plans, and competitive pay. The employees love working for Shopko because of the scheduled breaks during shifts which help them rest. They also love the atmosphere between employees, as it is very fun and friendly. How old do you have to be to work at Shopko? Aside from having the required skills, the minimum age requirement for applicants to get employed in entry level jobs is at least 16 years old. The company offers satisfying careers in their stores, management, and in their pharmacies. Pharmacy Technician: Pharmacy technicians work under the supervision of a licensed pharmacist. They give medicine to the customers and provide information about the products. They can also prepare medicine according to prescriptions. It is necessary for them to have a decent background knowledge about drugs. Merchandise Supervisor: Merchandise supervisors receive merchandise deliveries. Together with other associates, they update the records on the store’s stocks, bring the products to the shelves, and maintain the stock rooms. Other than that, they can also decide on what sort of products the store should sell. Apparel Supervisor: Apparel supervisors assists the manager in managing the apparel section of the store. They supervise other employees and make sure that everyone is doing their jobs and they can also give orders to increase customer satisfaction. If there are any price changes, the apparel supervisor is the one to handle it. Supervisors also provide customer service. Apparel Sales Floor Teammate: The job of apparel sales floor team members is to provide assistance to customers in the apparel section of the store. They answer questions and help customers locate products. Furthermore, they restock and organize the apparel. During busy times, they can also assist the cashier. Cashier: Cashiers work at the counter and operate the cash register. They process the customers’ purchases and give change. In a busy day or in the event that the bagger is absent, the cashier will assume the bagger’s job. Because they interact with the customers, they need to groom themselves properly and behave appropriately. Bagger: Baggers assist the cashier to make sure that the customers check out quickly. They pack the products that the customers purchased. When necessary, they can also bring the bags to the customers’ vehicles. Loss Prevention Investigator: Loss prevention investigators investigate the company’s unexplained losses and theft incidents. Furthermore, they can take measures in order to prevent these losses. They are also responsible for managing the establishment’s safety program. Store Manager: Store managers are responsible for the store’s operations. They make sure that the store is performing efficiently and that everyone is doing their jobs. Aside from that, they are also responsible for making sure that they meet sales goals. When necessary, the manager can make personnel and business decisions depending on the store’s needs. They regularly report to the senior management about the status of the establishment. Greeter: Greeters are stationed at the store’s entrance and their job is to greet incoming customers. Upon the customers’ arrival, they provide customer service by directing them, answering questions, and being polite. People with this job need to be groomed properly and must have a good attitude since they interact with customers. They are also responsible for organizing the carts and baskets. Sales Team Member: Sales team members provide assistance to the shoppers. They inform customers about products, help them find goods, and answer questions. They also need to have a pleasant attitude especially when dealing with tough customers. Applying for a job at one of the company’s stores is easy, job seekers just have to go to one of the company’s retail branches and submit a completed application form and their resume. Online applications are also available for the applicants’ convenience. They just need to access the company’s official website and go to the careers section. When picking up or submitting job application form, the applicants are advised to dress properly in case that they are selected for an on-the-spot interview. They must also read the instructions first before filling it up and review their information once they are finished. When submitting a resume, the applicants must make sure that they use the best format for better readability. They must also make sure that they create the resume depending on the job they are trying to get. During the interview process, applicants must arrive dressed in corporate attire and on time, or preferably, ahead of time. They are also encouraged to prepare for the interviewer’s questions by researching about the most commonly asked interview questions for the job they are applying for. Employees praise the company’s culture. The company makes it a point to be a workplace that has a great management that isn’t rude to employees. It is also a very fun place to work in, as it is filled with good people. Everyone is happy while working, thus, they make the customers happy too. Every year, the company hosts the Shopko Sweet Street where families can go for an indoor trick-or-treating. Many kid-friendly activities happen during the event, such as cookie decorating, movie watching, and there is also the Best Costume Award. The company is known for its retail stores that sell a vast array of products like clothing, furniture, and electronics. They are also known for offering healthcare services in their stores. To help other people, the company created the Shopko Foundation which funds charity programs and support other groups that make lives better. Additionally, they also give grants and scholarships for the community. 1 How old do you have to be to work at Shopko?